Hi folks! Bear Haughton, of Old Bike Barn, here. We are living in an extraordinary time in human history where travel to exotic locations that once would only have been available to aristocrats is within the reach of the workingman! It’s near and dear to my heart. As some of you may have seen through various social media feeds, I have spent the last few years devoting serious time and energy to adventure motorcycle travel and inviting various industry friends to join in the fun. 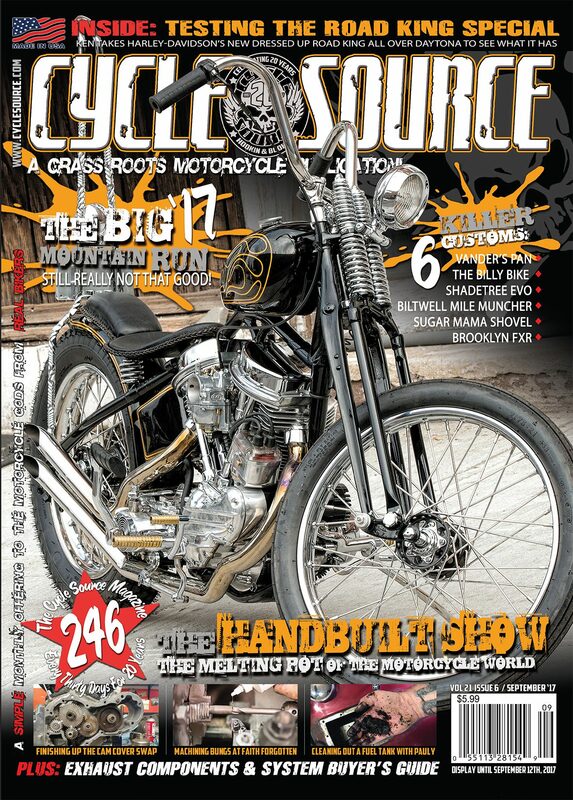 As you can imagine, I was stoked when Chris Callen Editor at Large of one my favorite grassroots publications, offered me an opportunity to tell his readership about my latest endeavor in motorcycling. 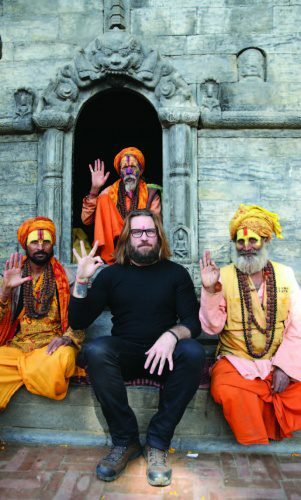 I’ll be heading up the US branch of www.himalayanheroes.com and hosting/ guiding 4-6 epic rides per year! I believe that we all need to break out of the rat race as often as possible! Life is too short to not do epic things and climbing mountains with motorcycles is time well spent. Lately, I have taken to saying, “There is only one irreplaceable commodity in life: TIME.” I have found that my little recipe for happiness in a world gone mad, is to “Live modestly and spend the rest on motorcycles, good food, and as much travel to far-flung places as possible”! So, what will you see? 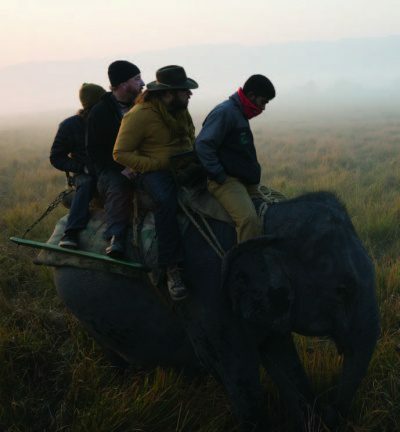 Well, our trips offer a wide range of terrain; but the main feature is the high elevation riding in the Himalayan Mountain ranges of Nepal, India, Bhutan, and Tibet. While these pictures speak for themselves, I figured I’d answer a few common questions here. Is it dangerous? Yes, riding motorcycles is dangerous! 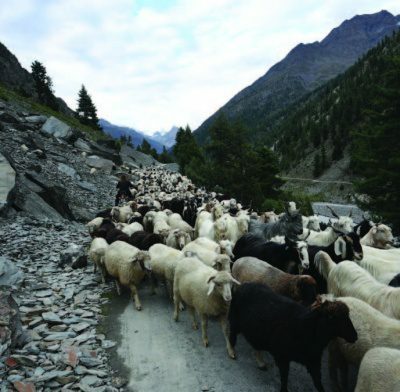 As for the locals, we found them to be welcoming even at some of the most sacred sites. We always have local guides with us that speak the language. They explain our purpose in moto-adventure and cultural voyeurism; it’s always well received. What do we eat? The food ranges from simple omelets and toast while camping to gourmet meals on either end of the trips, with lots of tea at local guesthouses along our well researched and remote routes. The tours are designed to be about riding and epic vistas with as little logistical burden as possible on the riders. Seasoned guides, translators, and a chase truck with spare parts and mechanics are included in every ride we do. 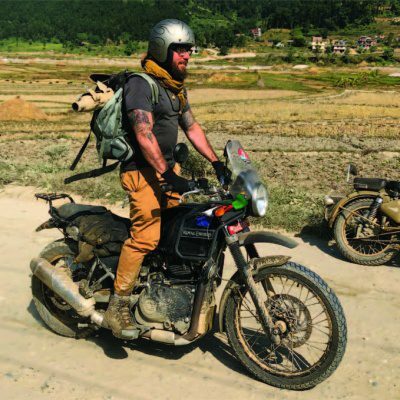 Some say, “I don’t want to be on no stinking tour group?” I can honestly say it would be challenging, if not impossible for a solo rider to pull off the motorcycle adventures we lead. It would require a massive amount of effort, time, and dollars to do a comparable “trip.” The amount of research, prep, and know-how that goes into these epic journeys is hard to explain until you see it firsthand. “Trip” isn’t even a fair word to describe it. These are full on expeditions! 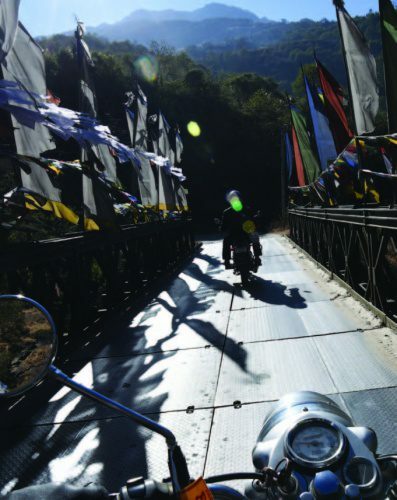 Himalayan Heroes manages everything from permits, accommodations, food, to wellresearched and pre-run routes, a sweeper rider (no one is ever left behind), and as I mentioned earlier, a chase vehicle with all the gear and tools. All you have to do is focus on the riding and epic scenery! 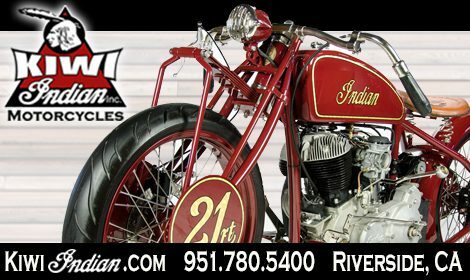 You will never be stuck for days at a checkpoint or with a broken-down bike. Want to bathe in a fountain at a sacred temple that few westerners have ever seen? 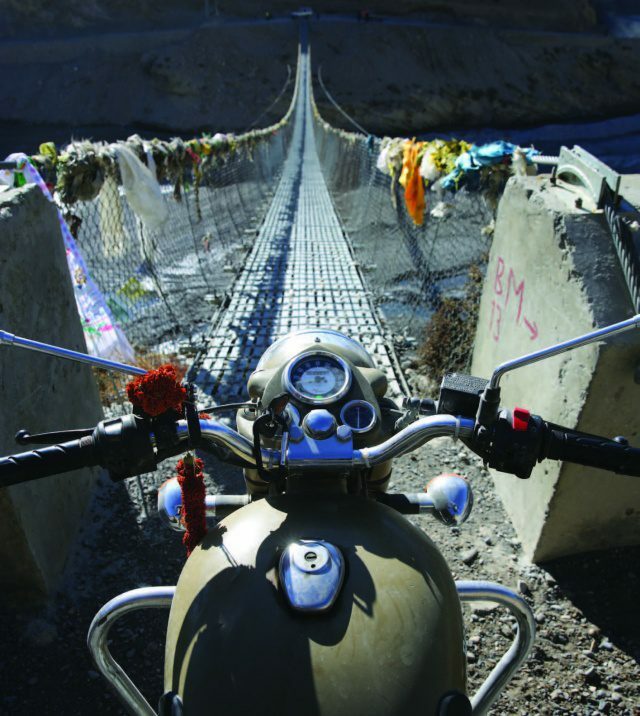 How about cross a mountain pass at 18,500 feet? Ride the world’s longest suspension bridge? 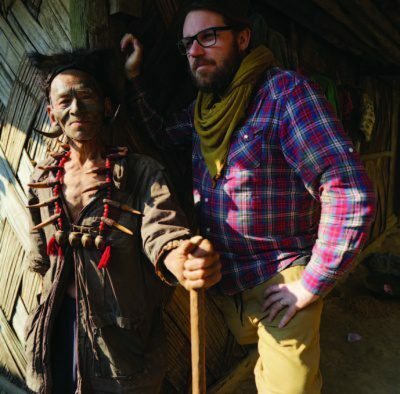 Or maybe meet some of the last living headhunters in North East India! We create these sorts of experiences! 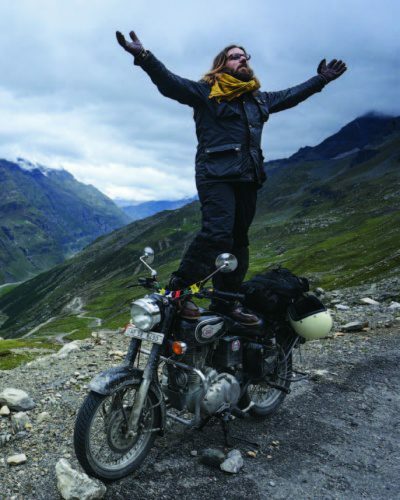 These are full on motorcycle adventures that are cathartic experiences for all that attend. This entry was posted in Travel Adventures, Uncategorized and tagged August 2018, Back Issue, Bear Haughton, Cycle Source, Cycle Source Magazine, Lifestyle. 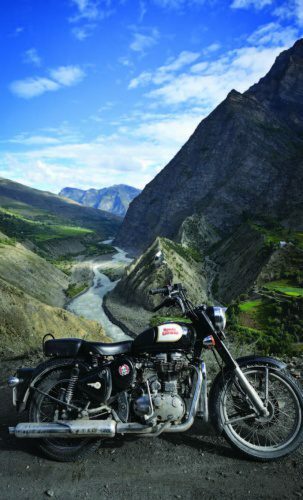 Himalayan Heroes, Old Bike Barn, Travel, Travel Adventures. Bookmark the permalink.